In January of 1854, a ship hailed as the biggest, fastest and safest vessel of her kind, the pride of the White Star Line, set out on her maiden voyage amid cheering crowds and hopeful passengers dreaming of a better life. But this was to be a doomed voyage and within two days of setting sail for the other side of the world the RMS Tayleur would be wrecked in the waters around Lambay Island. 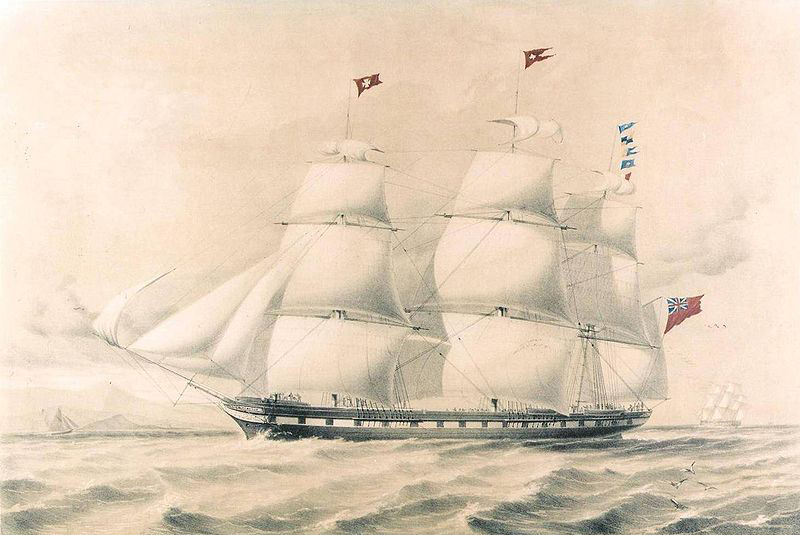 On the 19th of January 1854 the RMS Tayleur departed Liverpool on her maiden voyage with 650 passengers and crew. She was headed to Australia where passengers hoped to set up new lives and seek their fortune in the gold rush. But on the 21st of January, just two days later, the weather took a turn. High winds made it near impossible for the crew to steer the ship and thick fog cut the visibility. At 11 am that morning, a cry went out of “Land-ho” and passengers on the deck looked on in horror as the looming dark rocks of Lambay appeared through the fog. Captain Noble tried to stop the inevitable and slow down the ship by dropping both anchors but his plan didn’t work and the lines snapped. The Tayleur struck the unforgiving rocks. Confusion and terror ensued as passengers scrambled for their lives. Some managed to make it ashore and climb the steep and perilous cliffs to safety but most were not so lucky. The Tayleur dashed and broken by the rocks promptly sank taking with her 350 passengers. Women and children suffered the greatest loss, out of the 290 survivors only 3 women and 3 children made it shore alive. What makes the sinking of the Tayleur and its loss of life particularly troubling is that there is a solid argument that says the voyage was doomed from the outset. While she was a state of the art ship, there were numerous flaws in the design. The masts were found to be unbalanced, the rudder was too small for the vessel and the ropes frequently jammed as they were too new and stiff. The ship was never tested on open waters before setting sail. Perhaps most significant of all, the iron hull is believed to have severely interfered with the compass readings as they sailed. They thought they had been travelling south but instead they’d been travelling due west and straight towards the treacherous rocks of Lambay Island. In subsequent investigations, White Star Line was heavily criticized for rushing the launch of the ship without ensuring its safety standards and for the faults in the design. The company eventually declared bankruptcy and its name was taken by another shipping firm. 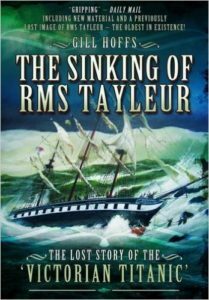 Check out Gill Hoff’s excellent book on the RMS Tayleur. After the sinking of the Tayleur, a fund was established to help the victims. The fund paid out money to the survivors and paid for funerals for the victims. 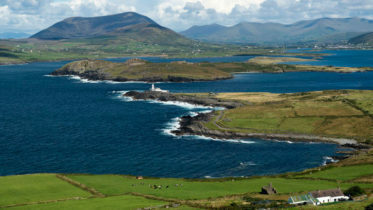 With that taken care of, there was a surplus fund of £600 which was used to award medals for heroism in the Irish Sea. In the early days of the fund, cash awards were made for rescue work and money given to the surviving seamen to accommodate and assist them. Among the recipients of the Tayleur medal was Captain John McNeil Boyd of the guard-ship H. M. S. Ajax. who perished while attempting a rescue of the two colliers, the brigantine Industry and the brig Neptune, which had been washed onto the rocks at the back of the east pier at Kingstown (Dun Laoghaire).